Best support for the feet with Rheumatoid Arthritis. Good quality, well made, durable, and stylish. Comfortable and provide excellent arch support. Easy to customize the perfect fit with triple-strap buckle adjustment. Soft suede padded footbed for comfort. Durable EVA outsole for shock absorption. 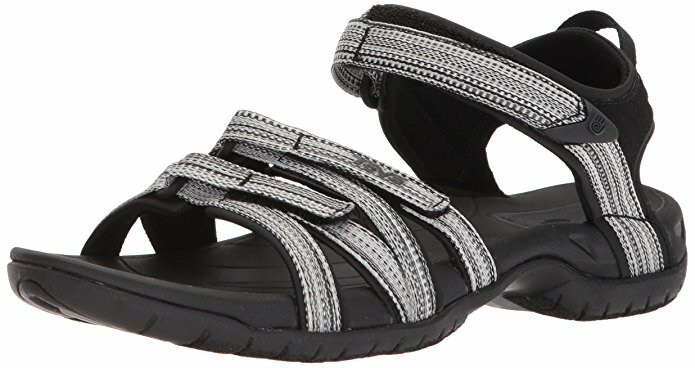 This is the summary of consumer reviews for Women's Florida Soft Footbed Birko-Flor Sandal. The BoolPool rating for this product is Excellent, with 4.50 stars, and the price range is $91.49-$110.00. Are you looking for comfortable and supportive shoes for everyday wear? Look no further than Florida Soft Footbed Birko-Flor Sandals! These sandals are made with suede padded footbeds for optimum cushion and comfort and an EVA outsole for shock absorption. Three adjustable buckles, a raised toe-bar, and a deep heel cut all encourage a perfect fit and natural grip. If you suffer from arthritis, you’ll love the Florida Soft Footbed, Birko-Flor Sandals, as they provide excellent arch support and all-day comfort while also looking cute with any summer outfit! Although the Florida Soft Footbed, Birko-Flor Sandals can run a hefty price tag, they are worth the investment. The only downside to these sandals is that exposure to concentrated heat can cause damage to cork footbeds or EVA soles. 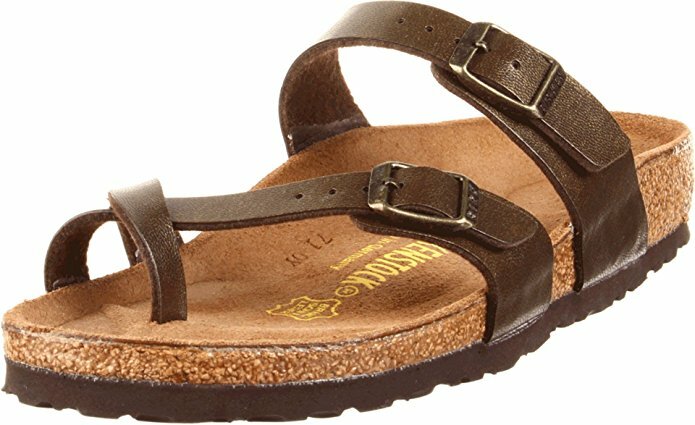 Overall, these Florida Soft Footbed Birko-Flor Sandals are a great investment if you’re looking for some durable and comfortable sandals to wear for years to come and don’t mind the price tag. Well made and comfortable. Look cute with jeans. Need one for each foot not 2 for right foot!!!!!!!!!!!!. These were the perfect size for me... they're so comfortable and look so cute with jeans!. Very disappointed with this product . They looked like someone already wore them, you can actually see toe prints on the foot bed, which is black. Size wise I'm a 39 in European size and 9 US size . I should have ordered the 40 European size because they were a bit small for my feet . I received 2 right sandals. I returned them right away. The consistency and quality of this product are unparalleled!. This's my 4th pair of this style. Silly me I didn't realize I'd to break them in! I've never owned a pair. 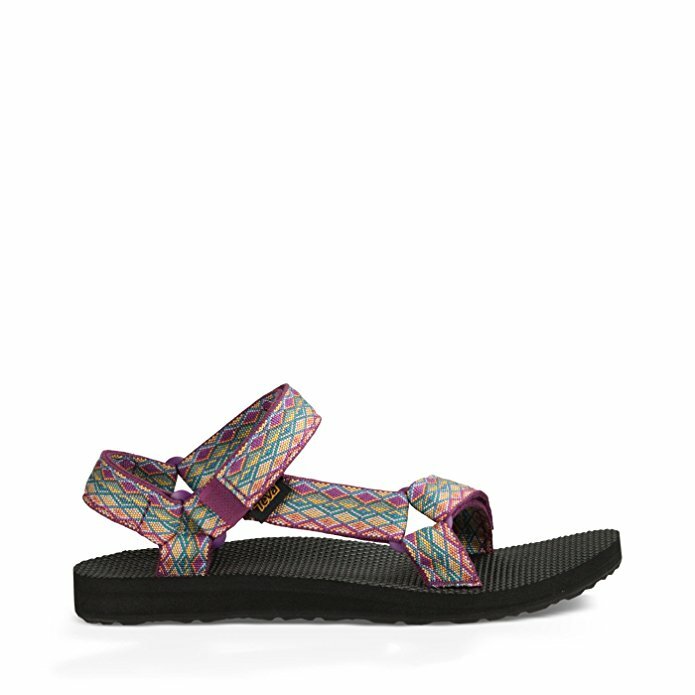 These sandals are easy to customize the fit with three straps. They fit and look as expected. Birks fit like a glove without being too restricting. Easy to customize the fit with 3 straps. Just like the Birks I wore in college!. Look forward to summer every year do I can ear these sandals. (And I'm sending the old ones to a Birk repair shop for a face lift to be worn again soon!). The last pair was 24 years old. I'd a pair of these that lasted a few years before I'd to toss them.This pair is to replace the old ones. My last pair were 24 years old and finally starting to pull apart. I take an 8.5 and the 38s are a perfect fit. I actually returned a pair of these because I followed the size chart instead of purchasing the same size I got years ago. These are great I can adjust the straps to keep my ankles from turning in . They're perfect for this. 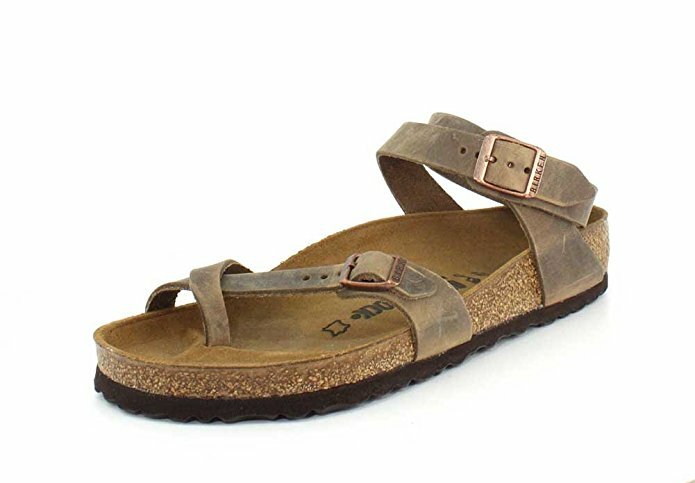 Good fit, durable, comfortable on the sole, adequate arch support, enough holes on the straps to position them comfortably. 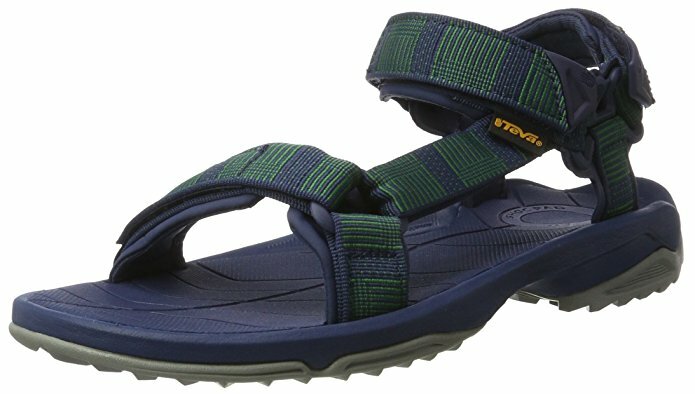 Good fit, comfortable on the sole, adequate arch support, enough holes on the straps to position them comfortably. Glad I "stepped out" and tried a new style. Have worn this style with the soft footbed for many years. I haven't worn the yet, but I really like the way they look, fit, and the color ( true navy) I'm glad I tried on a pair at a local store before ordering them I usually would of ordered s 38 but in this particular style I needed a 37. These sandals make both my feet happy. They're always comfortable and my "go to" footwear. I received my Birks today and I couldn't be more happy with them! Can wear all day without hurting the feet. I usually wear Birkenstocks so I know to buy a size smaller, (I wear 9 in everything else but wear an 8 in birks) but for others who might be buying their first pair beware they do run big so size down!. I normally wear a size 10 in women's shoes and I went by the Amazon website sizing and got a size 41. I wear a 7 1/2 in women's shoes, my feet aren't narrow and not wide, so I ordered the regular fit in size 37 and they fit great as usual. I wear a women's 9.5 and size 40 is what fits me perfect. They're the only shoes that I can wear all day without my feet hurting. I wear them all summer long. I love the shoe but I received two different sizes 36 (right foot) and 37 (left foot). These shoes run very narrow. Loved the style and fit. My hard to fit with comfort feet love these. I love my new Berkies. I love them and they fit perfectly!! never had a pair I didn't love!. I wear 8 1/2 and love these! love these birks, takes a while to work your foot in until they're prime comfort. 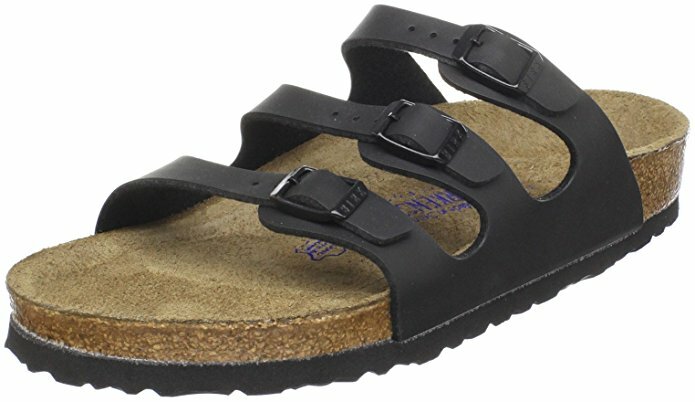 Birkenstock are simply the best support for the feet with Rheumatoid Arthritis. This Florida Birkenstock sandal didn't fit comfortably at all. I thought these Birkenstocks were too large at first but then went to a Birkenstock store and tried on same size, style and they fit the same. These Birkenstock Shoes I've bought and worn for a lot of years. This's my second pair of Birkenstock Florida Sandals. Birkenstocks help me tolerate that. I bought these for my mom, she only wears birkenstocks! 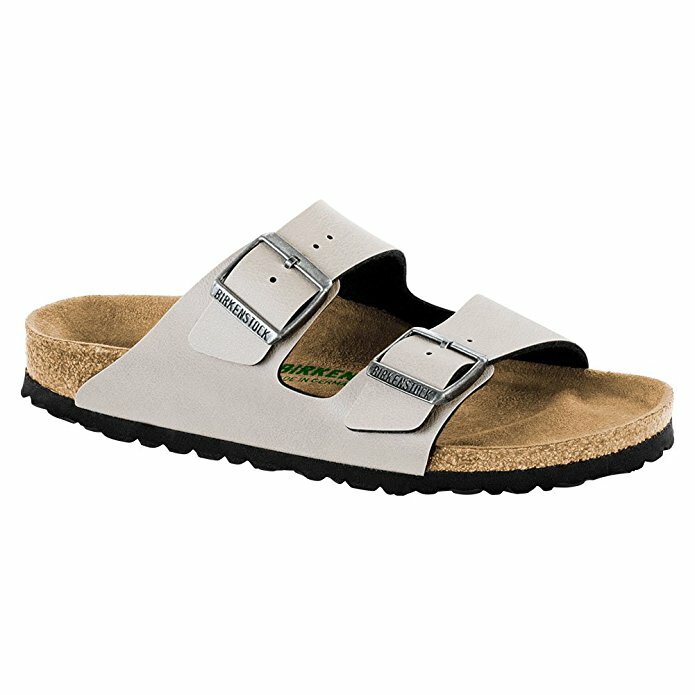 I've always worn Birkenstocks in 36 R (or M) and they've always fit well and were comfortable (especially the soft footbed) UNTIL now. Birkenstock are simply the best support for my feet with Rheumatoid Arthritis.